Would you rather explore the city and find out more about Bratislava’s rich history? No problem! Your local guide will show you the highlights of the historical center on a 2- hour private walking tour. While strolling past the historic landmarks of St Michael’s Gate, the Primate’s Palace and the Main Square, you’ll learn just as much about the strange Man At Work statue decorating Bratislava sidewalk as you’ll admire the famous coronation site of St Martin’s Cathedral. But even on this tour, we won’t leave you without a taste experience! 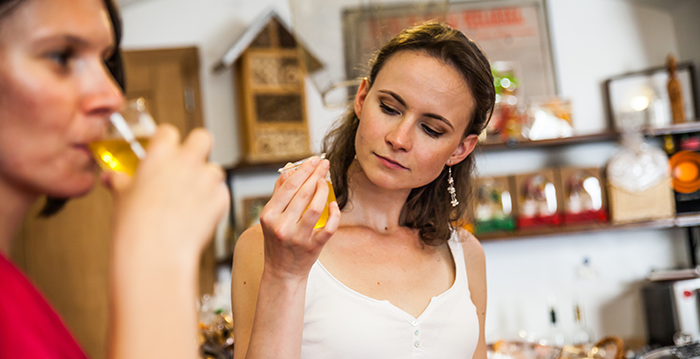 Must-tries are Bratislava’s traditional dessert – pastry filled with poppy seeds or walnuts – and delicious honey wine. GROUPS OVER 8 PERSONS PLEASE CONTACT US FOR A CUSTOMIZED PRICE PROPOSAL.